ProX Clutch Baskets are precision machined from heat treated aircraft Billet 7075-T6 aluminium alloy to O.E. precision standards. Sophisticated hard-anodising guarantees extended life under severest racing conditions. Each kit comes with the necessary hardware to make installation a snap. Our clutch baskets are designed to maximize strength through “feature aligned grain flow” and utilizes as-forged features that can only be produced using our precision process. We are able to produce higher mechanical properties and resistance to impact and fatigue. 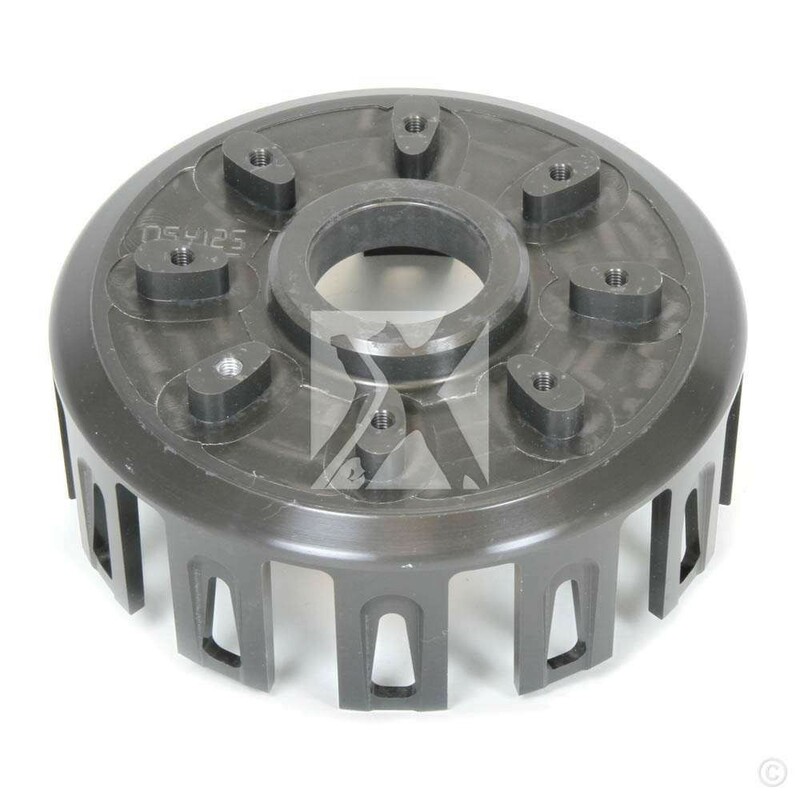 All our clutch baskets are hard anodyzed to produce an ultra tough abrasive resistant surface and ensures a long life of smooth clutch operation through the elimination of wear on the sides of the clutch basket tabs. The special added Teflon coating seals the coating to create a near frictionless surface for the clutch plate tabs to glide upon. All our clutch baskets comes with pre-applied thread locker fasteners and an inbus tool.